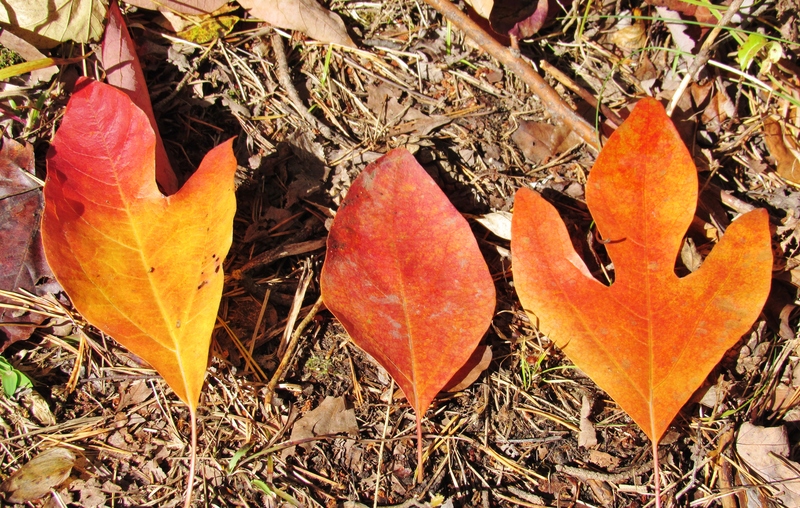 Sassafras (Sassafras albidum) has set our woodland edges on fire with leaves that transformed from a dull green to a brilliant flame-orange color. 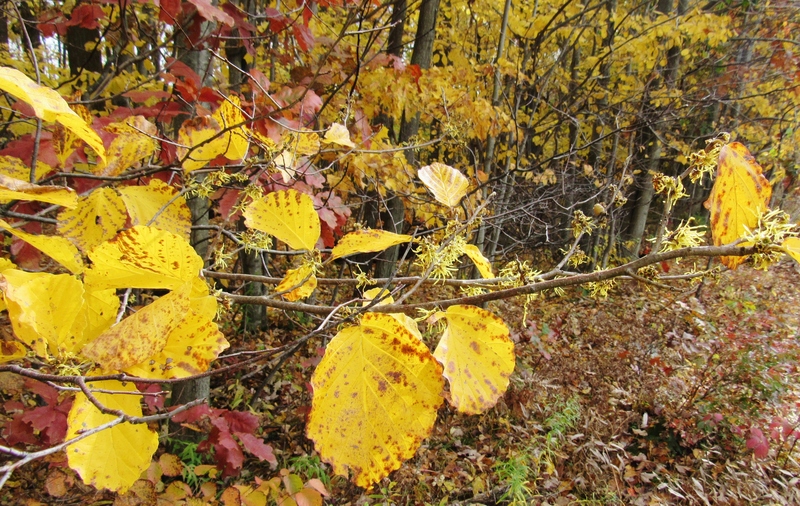 The history and lore of this beautiful native tree of Oakland County is as rich and eye-catching as the autumn color of its uniquely shaped leaves. Three differently shaped leaves appear on the branches of this aromatic tree. As Michigan residents, we all recognize the mitten shape, the simple-looking leaf is known botanically as ‘entire’ and then there is the unmistakable three-lobed leaf.